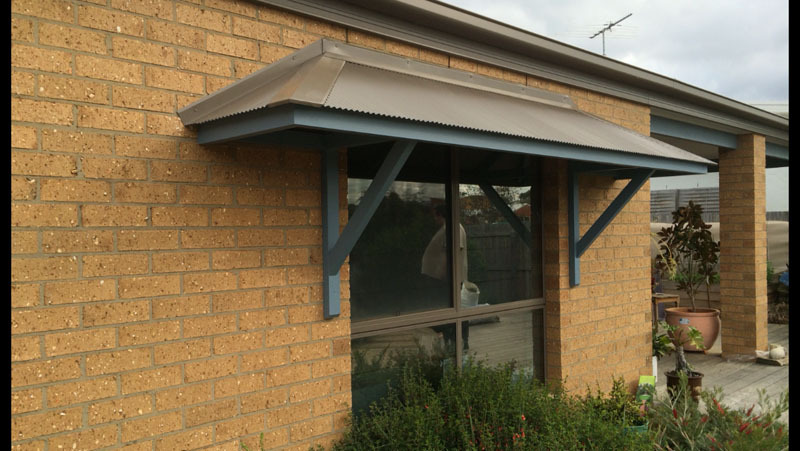 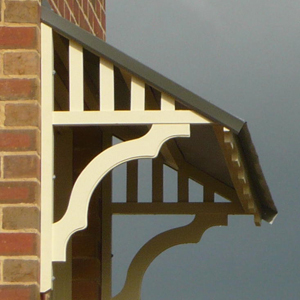 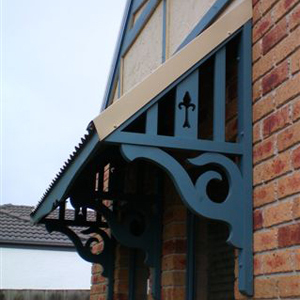 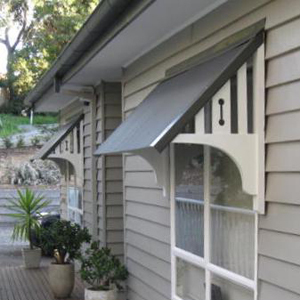 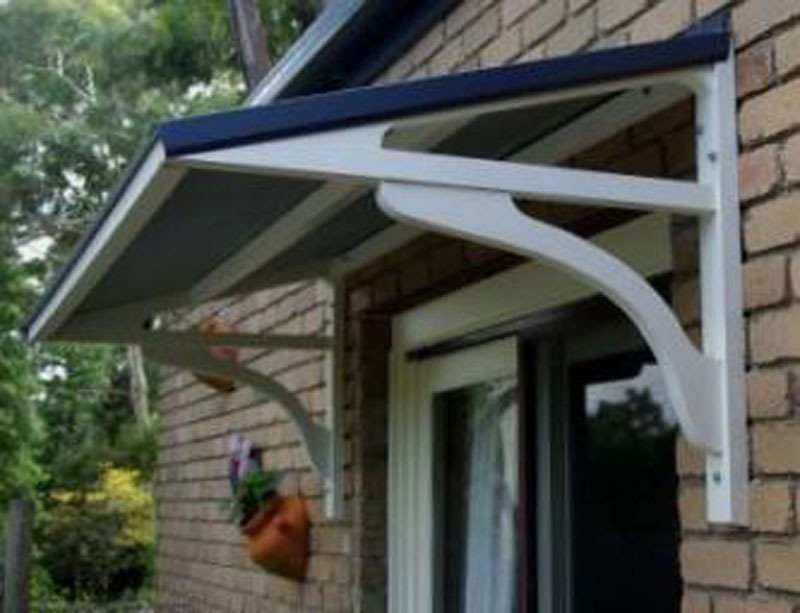 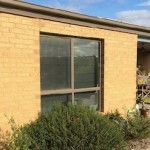 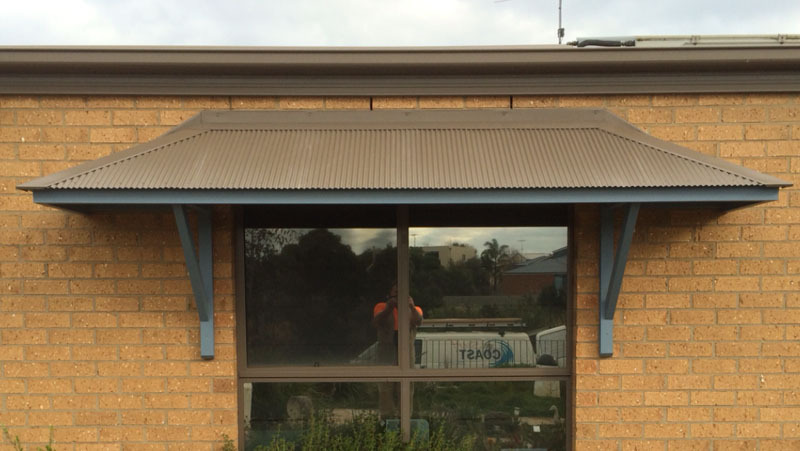 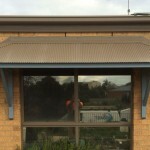 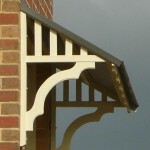 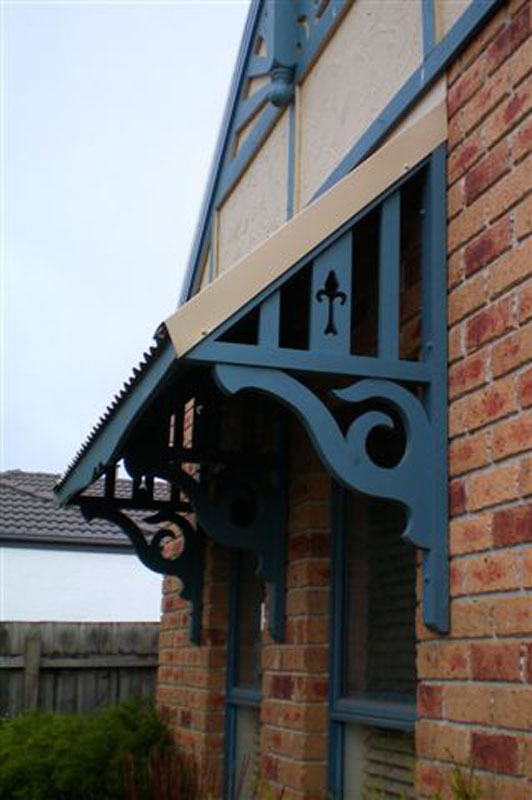 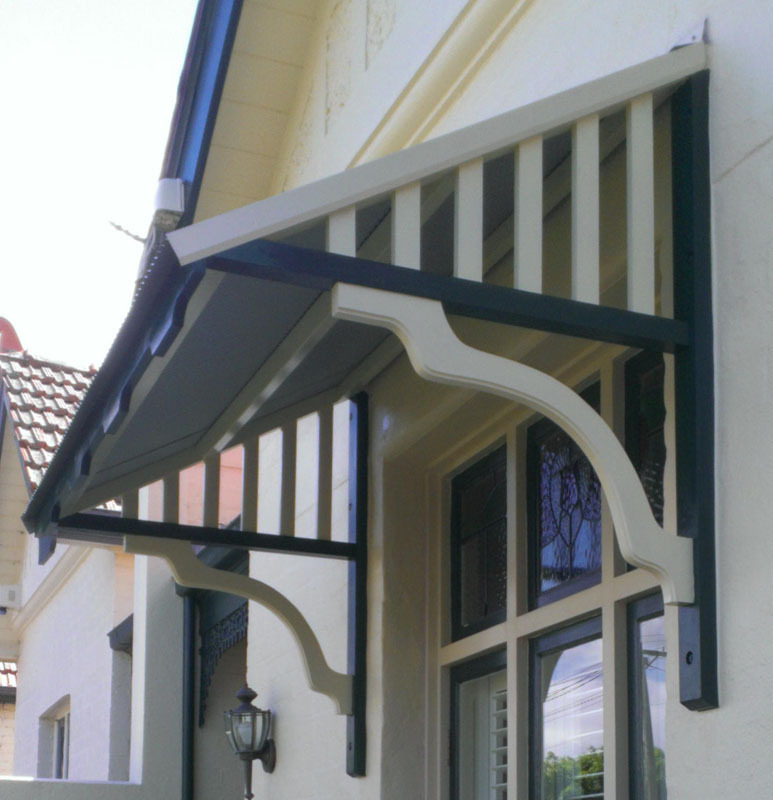 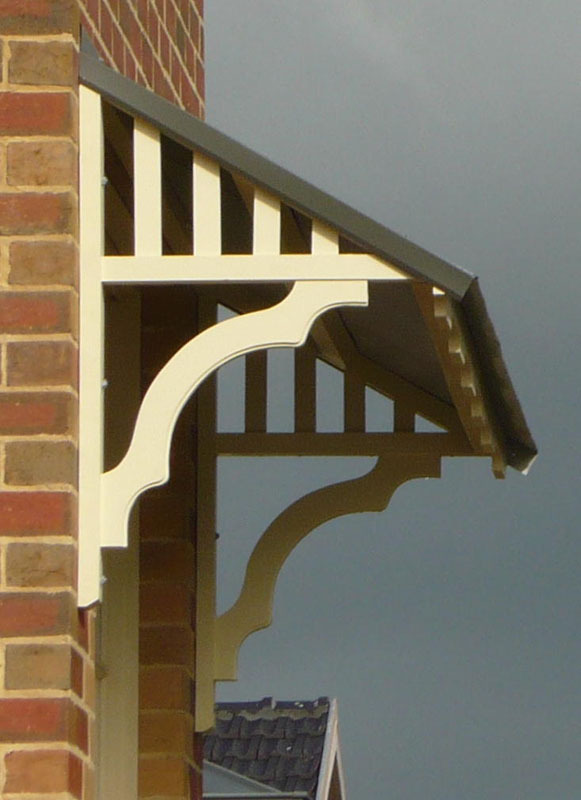 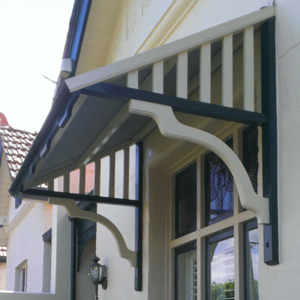 Surf Coast Shutters and Shade supplies a range of sturdy, solid-pine window canopies that will cool your home, save you money and add a stunning feature to your home. 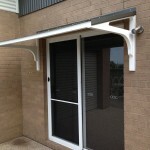 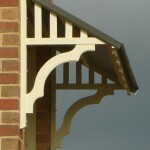 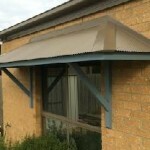 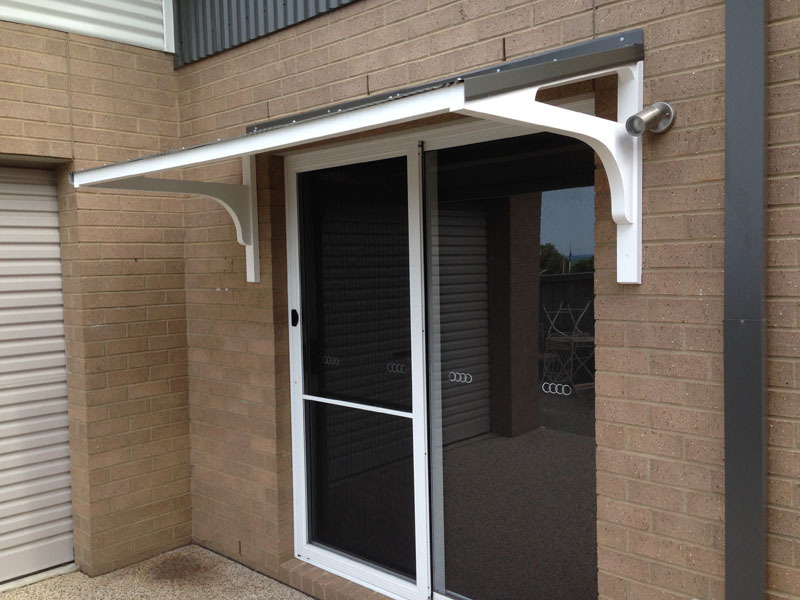 Choose from wide standard section or have window canopies custom-made to your desired requirements. 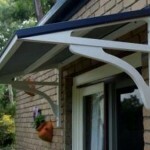 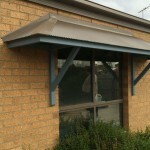 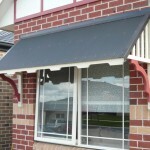 Why install a window canopy? 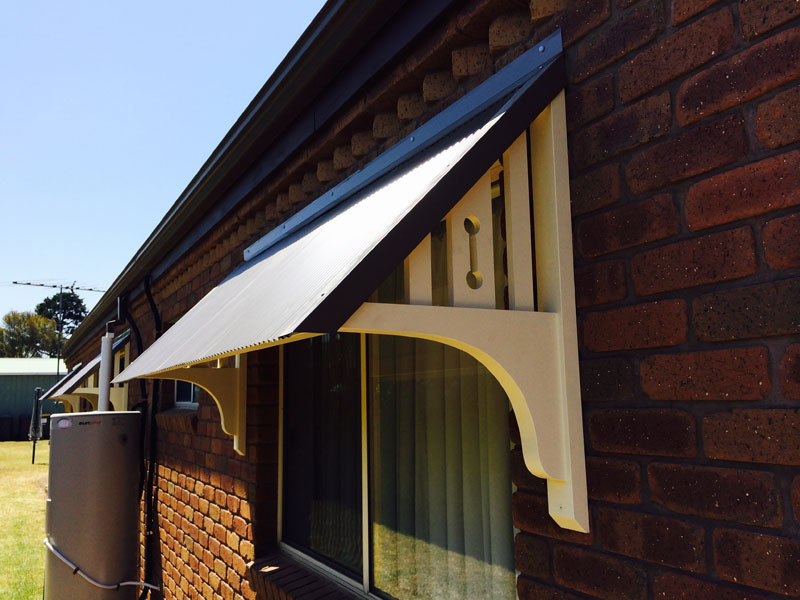 A window canopy will keep your rooms cooler in summer and warmer in winter, so that you can turn off your air conditioner or heater and save on electricity costs. 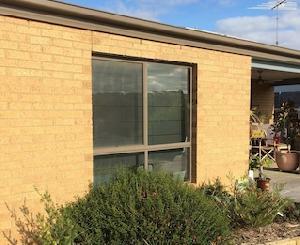 No one likes scrubbing the windows! 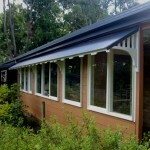 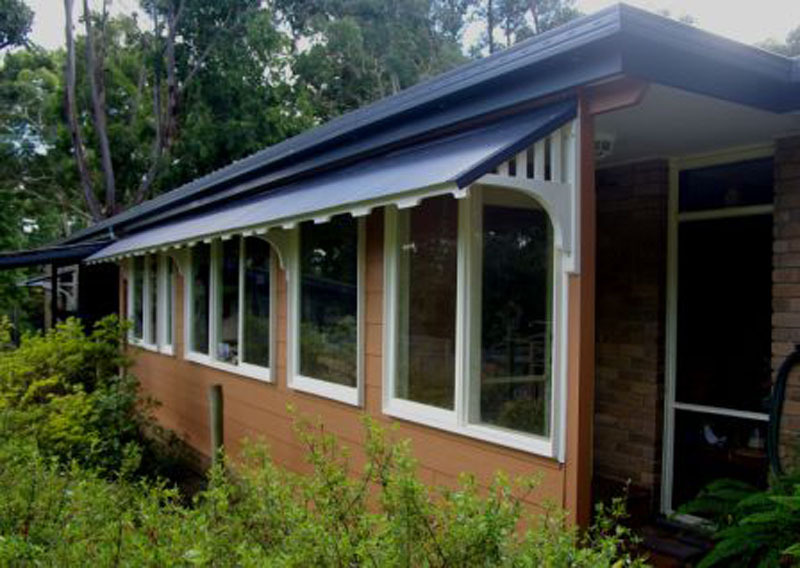 With a Surf Coast Shutters and Shade timber window awning, you won’t need to. 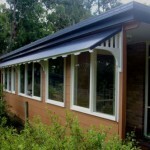 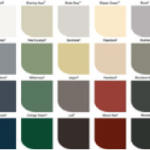 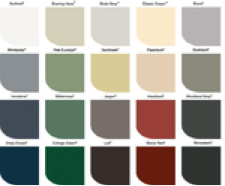 You’ll also extend the life of your window sills and frames, as they won’t be subjected to as much weather wear. 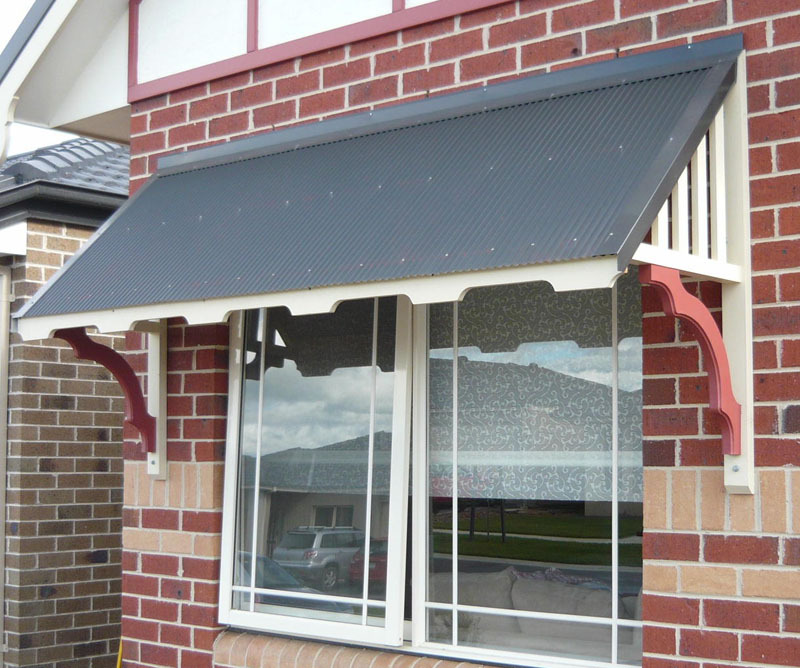 Curtains and furniture are expensive. 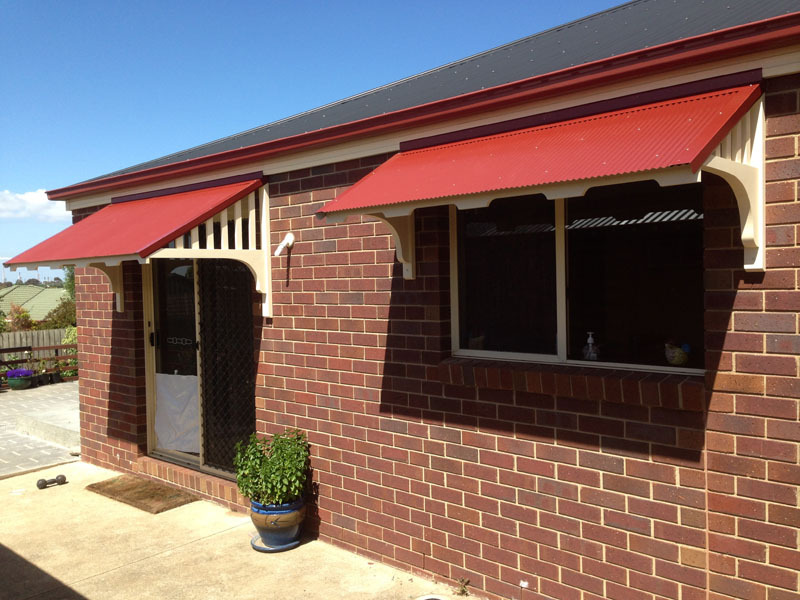 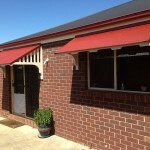 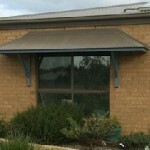 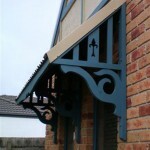 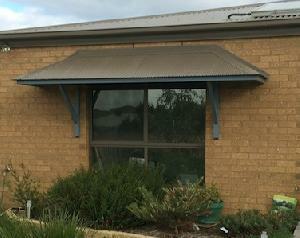 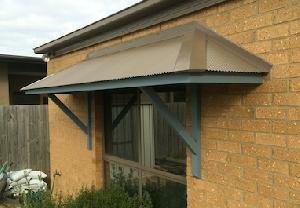 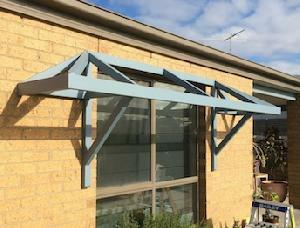 Make sure that yours last longer, keeping them protected with a Surf Coast Shutters and Shade window canopy. And a window canopy won’t just protect your curtains; it will protect your bed covers or lounge furniture as well. 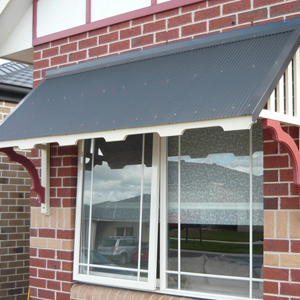 Improve the resale value of your home and enjoy the envious stares of your neighbours. 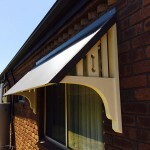 Have Surf Coast Shutters and Shade professionally install a window canopy or more and not only enjoy the benefits they bring, but also add an attractive feature to your home. 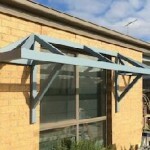 Our window canopies are made using radiata pine and treated with Light Organic Solvent Preservative (LOSP) to H3 level (protection for components above the ground), to resist rotting and borers. galvanised fixings to prevent rust. 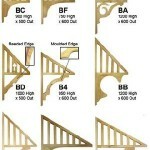 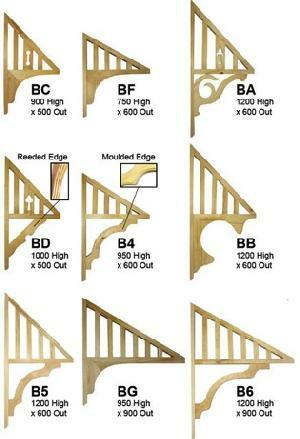 Custom construction to your design! 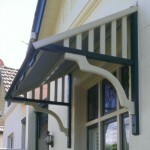 Custom Canopy makes for one very happy client!